We received a gift bag for attending this event. all opinions are our own. Before beginning the festivities, we were asked to drop off a brand new or gently used Plastic toy for children who would really love a little something this Christmas. For those who are unaware, Second Chance Toys is a 501(c)3 nonprofit corporation founded in 2006 to rescue and recycle plastic toys for children in need by donating them to community organizations. 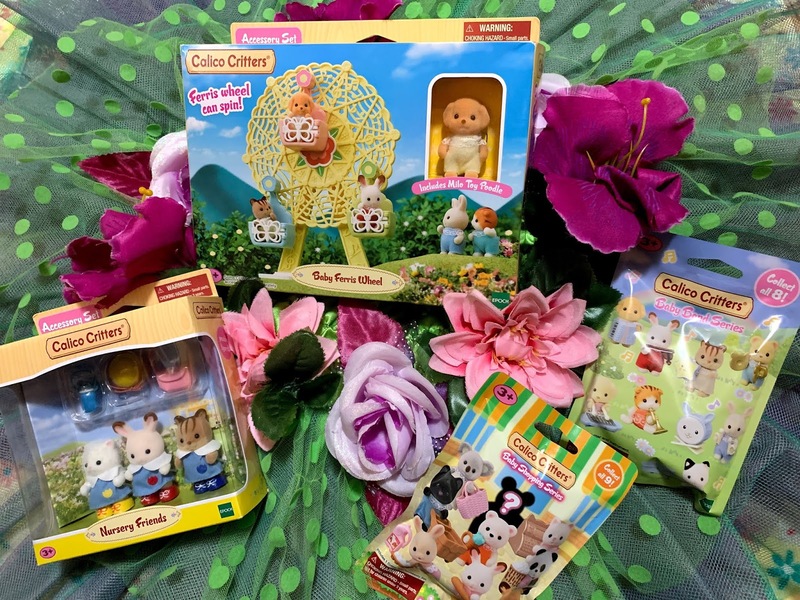 Because non-biodegradable plastic is kept out of the landfills, Second Chance Toys is helping the environment at the same time! Given the nature of plastic, the toys often show little signs of wear. Hence why that Doll House from the 80s can still live on 20+ years later. When these “good-as-new” toys are thrown out, they become waste in a landfill, take up a lot of space, and do not biodegrade. Aside from the wastefulness, there is also the fact that many children in the United States own few or no toys at all. 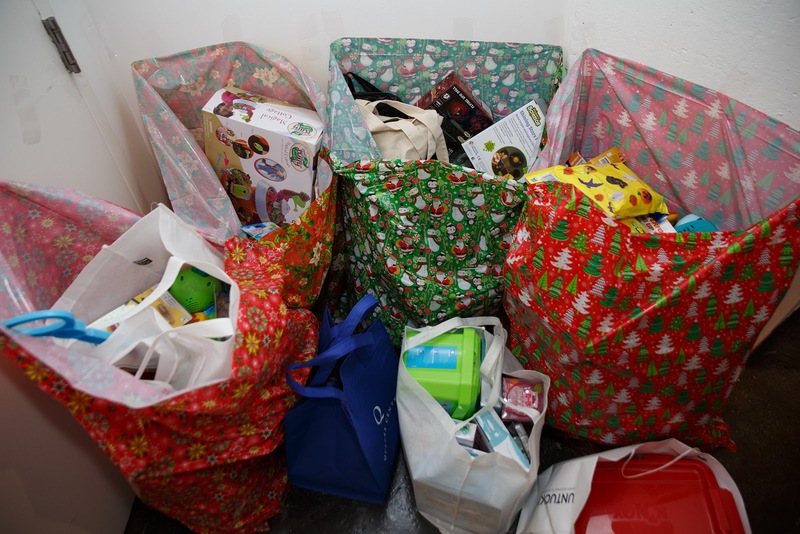 Second Chance Toys provides! I sure did pronounce this wrong at first! 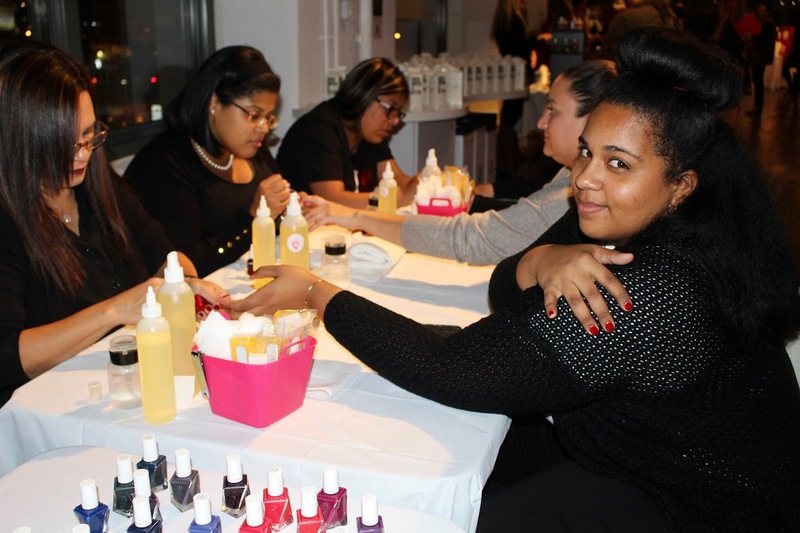 ManiorPedi.com was there to give our loving hands a little touch-up. I went with a red because the holidays are almost always red and gold. They also gave us a little holiday nail color treat to bring home. This company creates a solution to not finding our keys in our bag or heading out with just a small wallet or wristlet in hand. This O-Venture Ring is sort of like a HUGE circle bracelet that gives you a maximum Hands-free experience in your day to day life. Just clip on your keys and small wallet to it with its signature clasp, fit it around your wrist or above your elbow, and go! Everyone got to pick an O-Venture Ring off the tree. I was given the opportunity to model a few pieces from this brand along with some fellow mommas and I received MANY compliments. I chose a Black sweater, White Tee that said "Be Kind", adorable pointed toe flats with a scalloped ankle band, and a fan favorite... The Ireland Dual Satchel & Backpack in Camel. 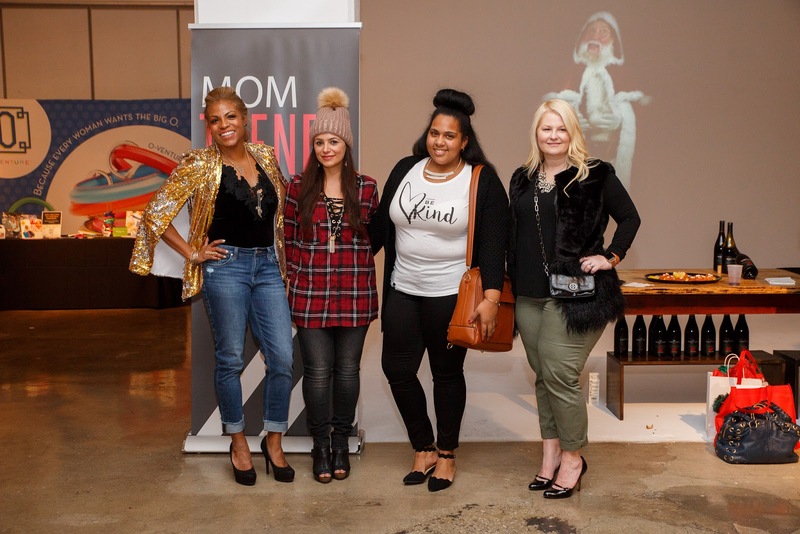 My Cents Of Style's Purpose is to empower women to lead bold and full lives. They believe that if you look good, you feel good. And when you feel good, you can do good for others around you. As a gift, we all went home with one of their cozy blankets. In attendance to fulfill our sweet tooth desire, Red Velvet NYC had a fun Cupcake station for us to decorate our own sweet treats. Next to those were some adorable Ginger Bread Man cookie kits for us to take home and try. 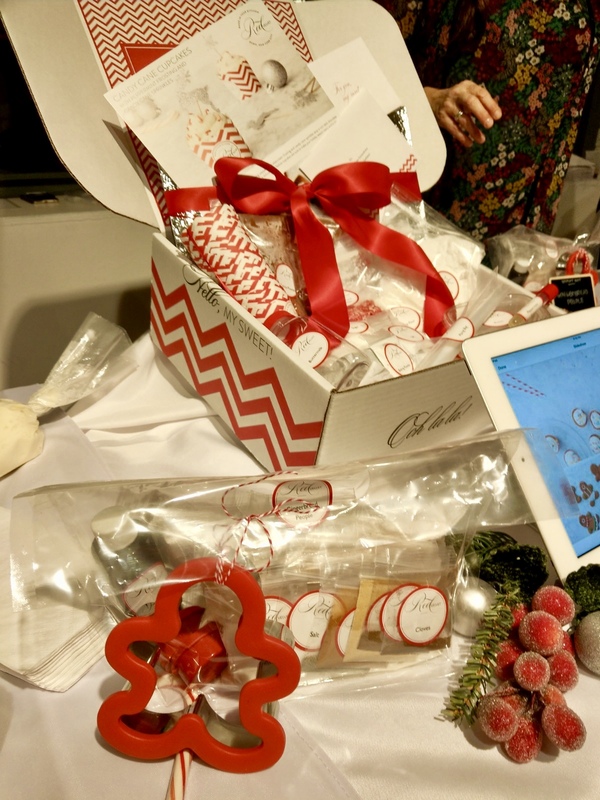 You can either purchase one-time baking kits or sign up for a full monthly subscription! This is any budding baker's dream. 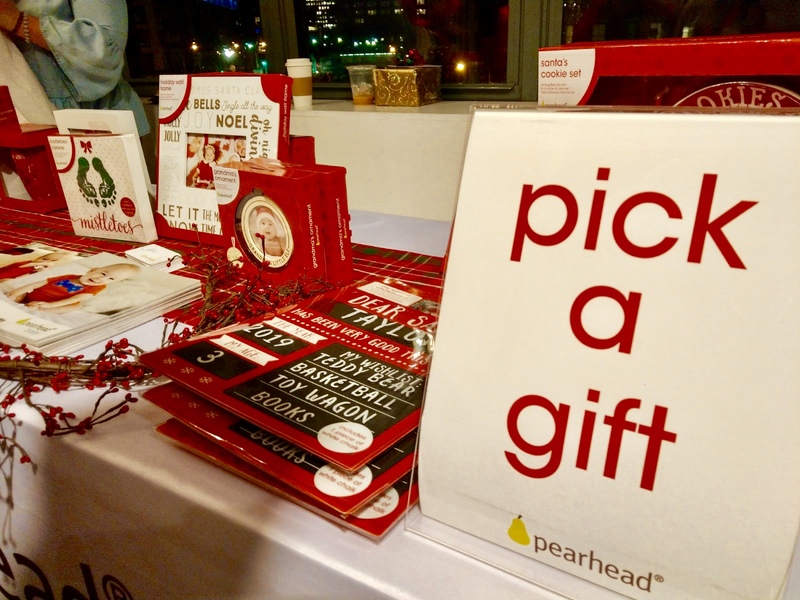 I adore Pearhead's adorable holiday gifts and keepsakes. I was very excited to see them there where they asked us to pick a gift, which they then wrapped for me to bring home. I chose the very last Santa's Milk and cookie set and was excited! An adorable idea that I thought of was to put the set under the tree and let my daughter open it on Christmas eve. It makes for a great memory and my child would be very excited to place her baked cookies on the new plate. This delicious cheese brand set up a fun table for us to put our hosting capabilities to the test. 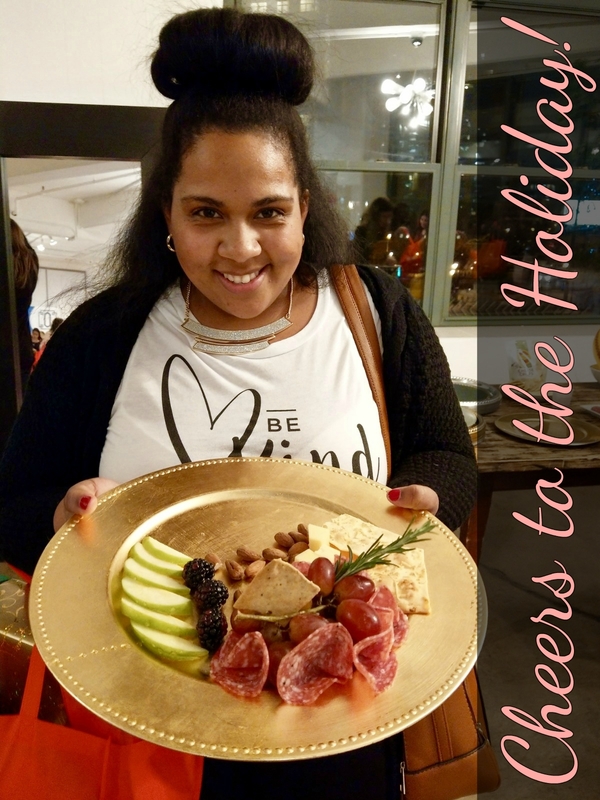 We grabbed a platter and tried to make the Prettiest cheese, fruit, and salami platter ever. 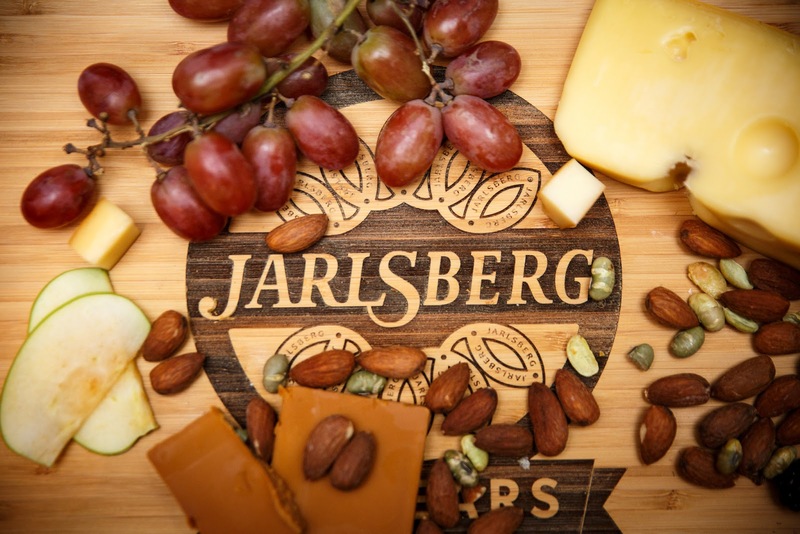 Jarlsberg sells the greatest flavored cheese that is mild, sweet and nutty. Everyone's favorite mom jeans, that don't look it! I have about 7 pairs of Riders by Lee jeans and I love them all. 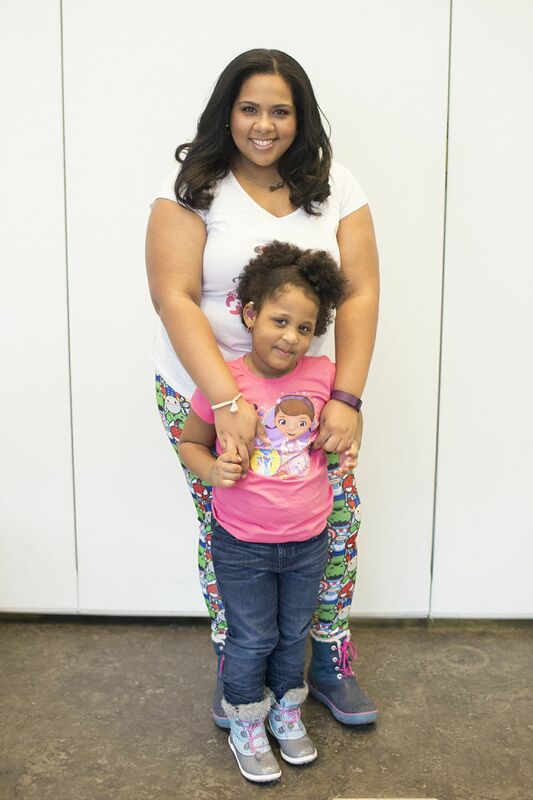 the styles are wonderful and the curvy fit is awesome. 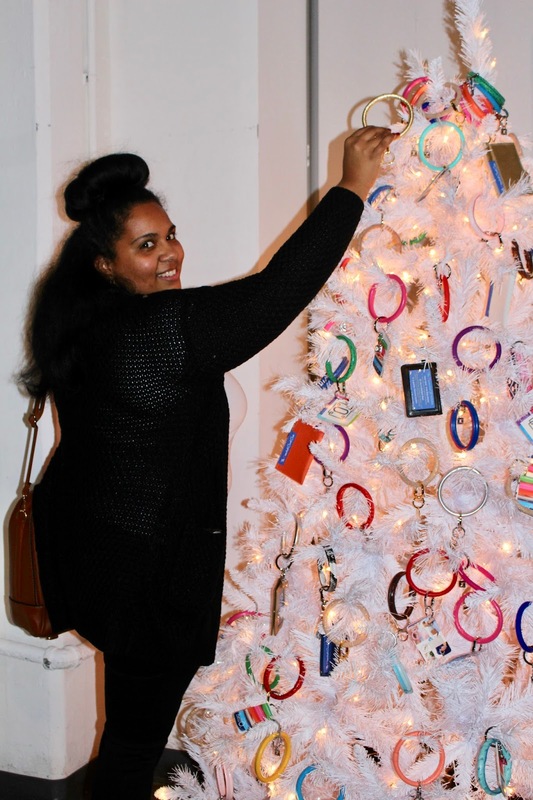 Though I modeled a pair for the event, we each got to write a wish on a tree to get a pair sent home to us. 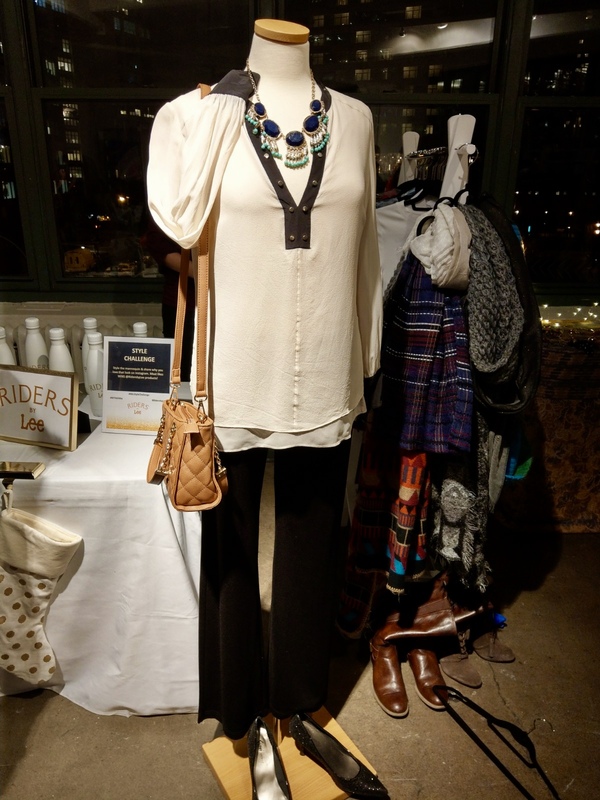 We also had a chance to win the ultimate style wardrobe if we won the fashion design contest. We did get to taste some wine, eat some light bites, drink some boxed water, and mingle with acquaintances. I am officially ready for the Holiday season all thanks to MomTrends... How about you?